Consumer behaviour has undergone a rapid change in the past 10 years, and the predictions for the future clearly show the trend isn’t stopping any time soon. Between morphing customer expectations, new technology advancements, emerging global markets, and “Buy Local” trends, the landscape is constantly shifting. If you’re not on top of it all, and evolving your business, you’re simply going to be left behind in the dust. Let’s start with morphing customer expectations. Just the vast selection of providers in any niche has really transformed shopping behaviours. Long gone are the days when you just went to the local store and made your decision solely based on what the salesperson or business owner had to say. Now the consumer has the means to be far more selective about who they work with and a desire for more variety in the offerings. Consumers can research products and services, compare alternatives, and get reviews and feedback about those products or service before committing. The sheer amount of data consumers can access is vast. That gives them the ability to ask prospective brands intelligent questions before they purchase, allowing them to make highly informed buying decisions. Which is something we all enjoy. As a business, you have to adapt and supply the information customers want. Because there are so many suppliers to choose from, businesses have to get better and better at creating content in a variety of formats, while becoming more and more transparent with the information they deliver. Developing that kind of honesty opens the door to building greater trust with your customers, but it also slams it hard and fast if they find you less than forthright. The reality is that your consumers are now spending twice as much time on their mobile devices, as they are on their desktops or laptops. That means they can access a wealth of information, as well as products and services very quickly, no matter where they are, which has set up the expectation that they can get anything they want pretty much instantaneously. And those expectations are being met. Giants like Amazon, Zappos, Wal-mart and Apple, can receive an order and have it on a customer’s doorstep the next morning, in most circumstances, and sometimes sooner. There’s no doubt we can expect to see faster and faster delivery times in the future. The “I want it all and I want it now” kind of mentality means your potential customers become extremely frustrated when they don’t get that from you. If they can’t easily find the information they want to make an informed buying decision, or if they have a less than stellar experience with you, you’re unlikely to see them again in the future. According to Google, 60% of consumers who have a negative experience with your brand will never buy from you again. Sadly for many brands, what’s classified as a negative experience by a customer can simply be a neutral experience. With access to so many different options online and offline, consumers are now expecting something much more dynamic when they interact with you. Sixty-one percent of people expect brands to tailor experiences based on their preferences. That requires a lot of in-depth knowledge of your customer, which means you need to be constantly in touch with them, getting their feedback. Patience is a premium most customers simply won’t pay. If your mobile experience is deficient at any point during the sales process, it will absolutely affect your sales. Slow load page times, difficulty navigating or searching your mobile site, and slow checkouts will have consumers bouncing from your site to someone else’s in a real hurry. Why wait when you can get the exact same thing you want somewhere else without the added time and effort? Consumers are also expecting free shipping, one day shipping, as well as easy returns and exchanges online and offline. That definitely creates some logistical and financial hoops for businesses to jump through when they want to grow market share. If you don’t adapt to your customers expectations, you’re definitely going the way of the dodo. Where people are spending their time has also changed, and again that’s affecting their behaviours. In fact, a recent study by GlobalWebIndex involving 170,000 people, found that they spent 28% of their online time on social networking sites. News, socialization, stimulation and so on is obtained on social media. That means the traditional ways of doing things is becoming less and less important to them, which means it has to become less and less a part of your business and marketing strategy. Canadians watch more YouTube than anyone in the world, they out-tweet Americans, and they visit Facebook more than U.S. online users. Americans are watching more than 5.5 hours of video a day online, according to eMarketer. In short. the time spent watching TV or listening to the radio is definitely on a downward swing. That means businesses have to look beyond traditional media outlets when it comes to marketing. That can be both good and bad depending on the business. Good because there are so many places to advertise, on social media and otherwise; and most of the time, you can do it for a lot less money than the budget necessary for a radio, television or billboard campaign. Digital marketing also offers far superior targeting, allowing you to reach your ideal clients. Digital ads can zero in on specific age groups, locations (down to a single postal code if you like), particular industries or job titles, and so much more. That gives business owners and marketing managers far greater ability to reach the right people and get a proven return on the marketing investment. It can be bad for businesses because there are so many platforms to choose from. Many companies try to use as many as possible, which waters down their marketing efforts. Strategic targeting is a much better way to go. 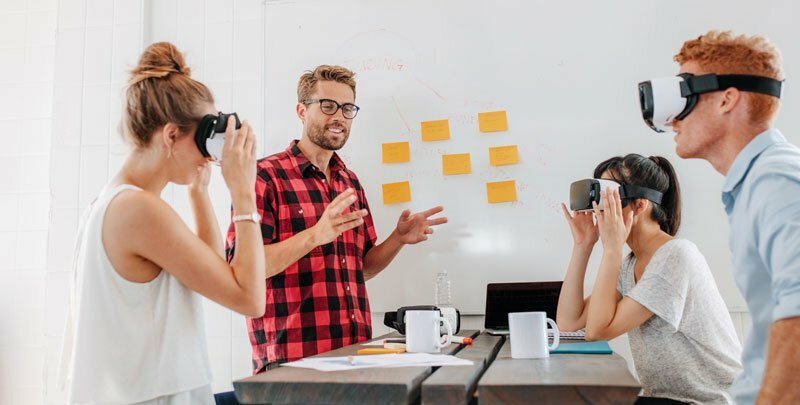 Before you launch into the digital marketing realm you need a marketing strategy that’s tactically focused on your business goals and initiatives, which will help you decide where you need to be, when you need to be there and what you need to say to connect in a meaningful way with your prospective clients. Straight up – if every single piece of your marketing strategy is not pushing forward your business goals, you’re wasting your money! The answer really depends on your business goals, your marketing strategy and your resources. Everything has to move in one direction, and it very clearly needs to meet a predetermined purpose, otherwise why do it? Many businesses chase the tactics, like video or deploying Google ads, because it seems to be the latest and greatest thing to bring in sales, but they jump in without having a strategy in place. That leads to disjointed marketing initiatives, ineffective results and frustrated CEO’s, owners and marketing managers, who are all left wondering why their marketing isn’t working. We can’t stress this enough, a full and comprehensive strategy needs to be fully outlined, and followed, if you want to be successful with your marketing efforts. Beyond the mobile devices we use for shopping and surfing the net, technology is rapidly changing the world and the way we act and interact within it. The Internet of Things (IoT) is quickly playing a big part. The IoT is simply any device connected to the internet or any device connected to a device that’s connected to the internet. 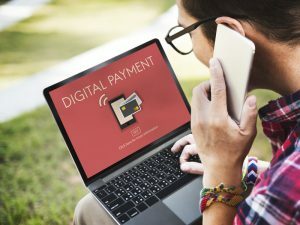 Research analysis firm, Gartner, expects that there will be around 26 billion IoT connected devices by 2020. This new technology is allowing consumers to make more purchases to improve their quality of life, making it easier and more enjoyable. They also expect that their favourite brands are doing the same thing. They want brands to anticipate their needs and deliver products they don’t even know they need yet. Scripps Networks recently did a study and found 75% of consumers bought a smart device to keep their family safe and comfortable. Safety and comfort are basic needs and big internal drivers for humans. We also want greater ease and less stress, so it’s no wonder smart home technology is an area experiencing a huge growth surge. We can now get IoT products for just about everything. There’s voice activated garbage cans, virtual assistants like Alexa and Echo for the home, toothbrushes with AI, and so much more. Soon smart homes will give way to smart cities, countries and eventually the world. Those changes are going to again morph consumer buying behaviours. Wearable tech is also in demand. From the Fitbit to Bluetooth yoga pants, expectations are changing. People are becoming more concerned about their health and wellness and about the earth. They’re becoming more discerning about ingredients in the food they eat, chemicals in products and the overall footprint we have on the world. 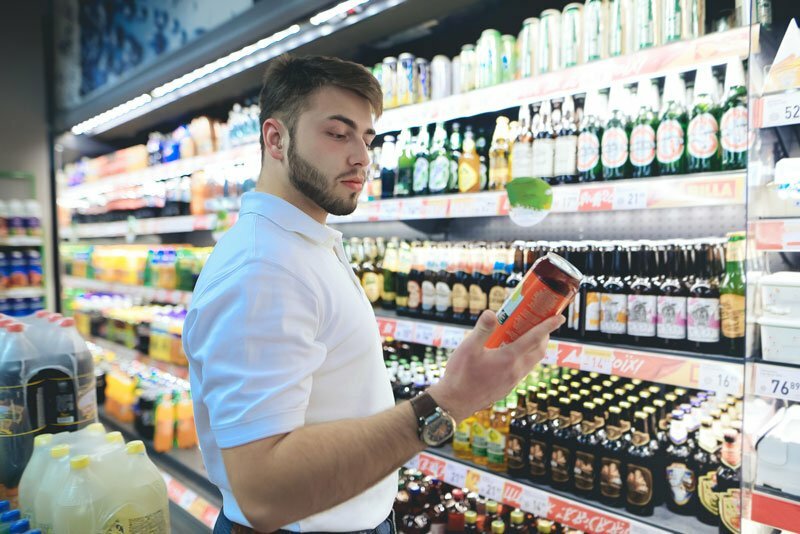 According to the Mintel Global Food and Drinks Trends report, only one in five Canadians trust the health claims on a food and/or beverage package. That type of mistrust is forcing changes worldwide, not just in Canada. Manufacturers are having to be more forthright about ingredients and product materials. Companies are revising their practices, reconsidering the types of packaging they use, and looking at ways to reduce their carbon footprint. Around the globe, there’s a push toward banning one-time use plastics, like grocery bags. We see companies like Starbucks getting on board, and eliminating plastic straws to reduce non-compostable waste in the environment; and companies like Adidas making running shoes from all recycled ocean plastic in an effort to get our world in better shape. Consumers are taking notice and giving more and more support to brands that are thinking about the world around them. You have to consider, as you move forward, how you’re going to be one of them. With the internet being home to nearly two billion websites around the globe, it’s easy for consumers to get their hands on just about anything they want. Products and services they might not have been able to access locally, are now easily reachable. And this is just going to get bigger. By 2030 the world’s population is expected to soar to 8.5 billion, and it’s expected that 75% of those people will have both mobile and internet access. That will, of course, mean many more businesses to compete with in the market, but it will also mean a lot more clients you can reach if you expand globally. 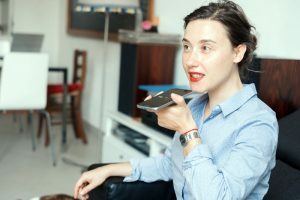 With new voice computing technology getting better and better, we can expect to see language barriers drop and more business being done abroad. The ability to purchase globally has conversely fueled “Buy Local” campaigns, in order to support businesses in the community. Some of the new technology advancements are actually helping local businesses. 20% of mobile queries are now done by voice command, according to Google (expected to reach 50% by 2020), and local businesses have bit of an advantage with voice computing. People who use voice search on their mobile devices are three times more likely to make locally based enquiries, working in local details like “restaurants near me.” That can mean a greater likelihood of your business getting found in an organic search from a mobile device in a local query. 48% were personally concerned about the use of hormones in farm animals. 46% were worried about pesticides in crop production. 45% were drug anxious about residues in meat, milk and eggs. 45 % were troubled about eating food that comes from genetic engineered crops. The transparency in your product components, as well as a focus on your customer’s wellbeing is noticed by your prospective clients and will win you their business. In order to deliver on the new expectations your clients have for your brand, you have to truly get know them. That goes far beyond the basic demographics most businesses focus on, like age, gender, marital status, geolocation and so on. You have to dig a lot deeper and begin to understand their wants, needs and values. You have to know what motivates and excites them, what causes them pain, and what they want from life for themselves and for their loved ones. Then you have to be able to take that information, apply it to your brand, and develop something for your client that goes far beyond a single transaction. The best brands build solid relationships and immerse themselves into their client’s lives. They anticipate their clients’ needs, and they stay ahead of the trends in order to maintain and build on their market share.